KOLKATA: Trinamool Congress's plan to hit the roads from September 19-22 to protest the Supreme Court-mandated CBI probe in the Saradha scam got a jolt on Monday when the Centre made public a fraud investigation report, pointing out that the MamataBanerjee government could have done a lot more to plug the Ponzi mess. These Ponzi companies violated the Companies Act, Sebi Act, and several provisions of Indian Penal Code, the corporate affairs ministry said in a statement on Monday. "Several instances of violation of the Prize Chits and Money Circulation Schemes (Banning) Act, 1978, have also been found. As prosecution under this law has to initiated by state governments, the report along with evidence is being shared with CBI," it said. 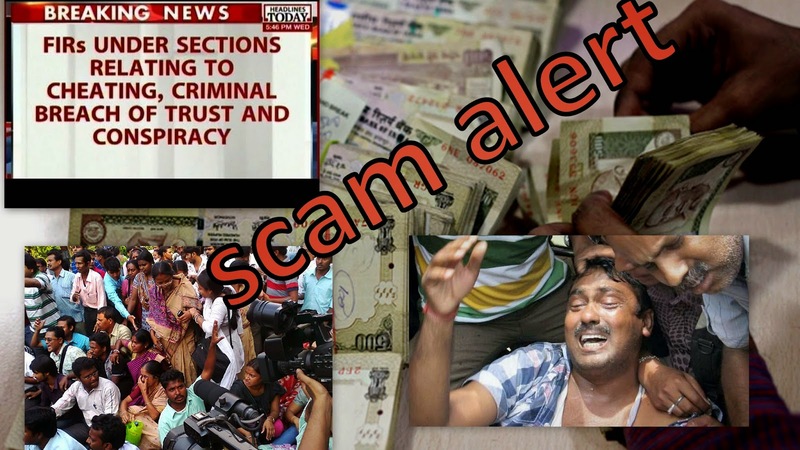 While the state-controlled SIT submitted chargesheets only under Sections 406 (criminal breach of trust), 409 (criminal breach of trust by a public servant), 420 (cheating) and 120B (criminal conspiracy) IPC, the probe by Serious Fraud Investigation Office found violations under IPC 107 (abetment of crime), 403 (dishonest misappropriation of property), 415 (cheating), 418 (cheating with knowledge that wrongful loss will be caused), 419 (impersonation) and 477A (falsification of accounts), apart from those mentioned by SIT, the ministry's statement said. The ministry said the companies that have violated Sebi regulations for "collective investment schemes" will be prosecuted under Sebi Act instead of Companies Act, because it carries longer terms of imprisonment. State governments will have to initiate prosecution under Prize Chits and Money Circulation Scheme (Banning) Act. "The companies, their promoters, directors and managerial personnel have been found guilty on many counts of various provisions of the Companies Act... dealing with illegal collection of deposits and false statements, etc," it said. The state SIT had let its probe slip in a maze of FIRs and chargesheets, unable to track down the labyrinthine transactions of the Saradha Group. In fact, this was one of the factors why Supreme Court handed over the Saradha probe to CBI on May 9. It had asked the state for a sample chargesheet. "We directed the state to file a sample copy of the chargesheets said to have been submitted before the jurisdictional courts. A perusal of the copies shows that they relate only to individual deposits, leaving untouched the larger conspiracy angle that needs to be addressed," Justice T S Thakur and Justice C Nagappan had mentioned in their judgment. Worse still, it was also a Trinamool led, which had told the SC that a larger conspiracy angle is being investigated in case No.102 registered in Bidhannagar Police Station (North) on May 6, 2013 under Sections 406, 409, 420, 120B IPC submitting it a list of people the SIT wanted to question. The SC observed, "A perusal of the synopsis furnished and the names included in the list makes it abundantly clear to us that several important individuals wielding considerable influence within the system at the state and the national level have been identified by the investigating agency for interrogation." Trinamool national secretary Mukul Roy questioned, "Is Saradha Mamata Banerjee's crime? No. If Mamata Banerjee had not tried to curb Sudipta Sen then would he have been arrested?" Roy alleged that since Independence, CBI has always been used for political gains by the Centre. He said that since CBI is investigating the matter it will have to ensure return of money to the depositors. "You (CBI) will have to tell us as to how you will return the money," Roy said. The SC ruling hasn't left the state-appointed Shyamal Sen Commission in any fretters. The Commission has been paying back depositors from a Rs 500-crore fund provided by the state. "Transfer of investigation to the Central Bureau of Investigation (CBI) in terms of this order shall not, however, affect the proceedings pending before the Commissions of Enquiry established by the State Government or stall any action that is legally permissible for recovery of the amount for payment to the depositors," the order clearly said.